The Pilot Custom 823 is the truest "demonstrator-style" pen with the largest ink reservoir available from Pilot. The smoky amber barrel with stunning gold accents lends a distinguished, sophisticated air to this exceptional fountain pen. 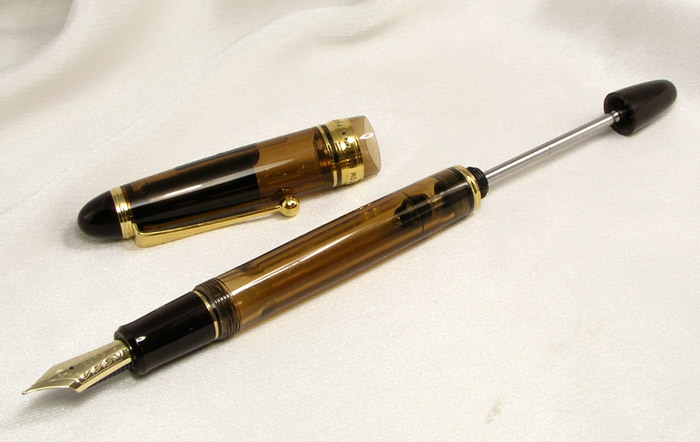 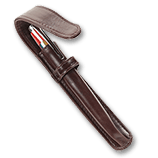 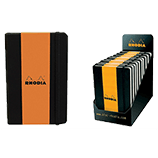 The pen is refillable with bottled ink through a vacuum plunger system, much like the Sheaffer vacuum fillers of old but with Pilot's unique patented design and technology for even better performance. 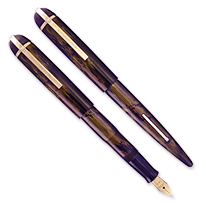 And with Indy-Pen-Dance's extra hands-on testing and adjustment, you can rely on a long-lasting and smooth writing experience. 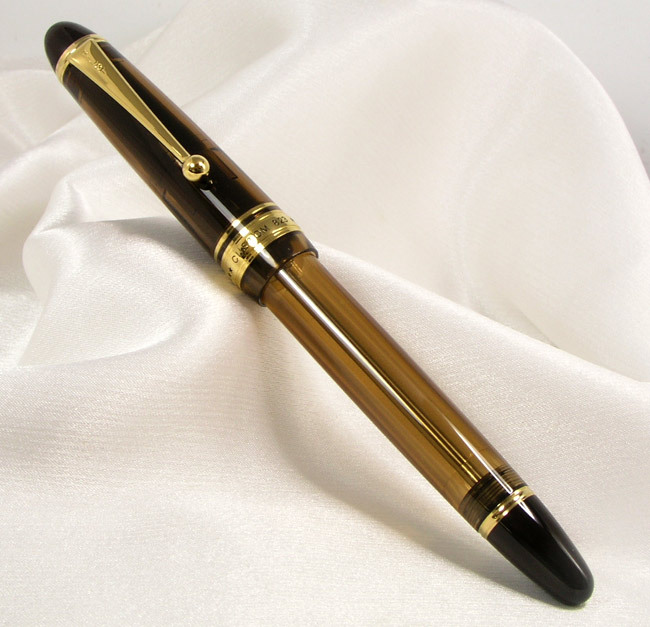 Comes with a beautifully crafted 14K gold nib in fine, medium, or broad point. 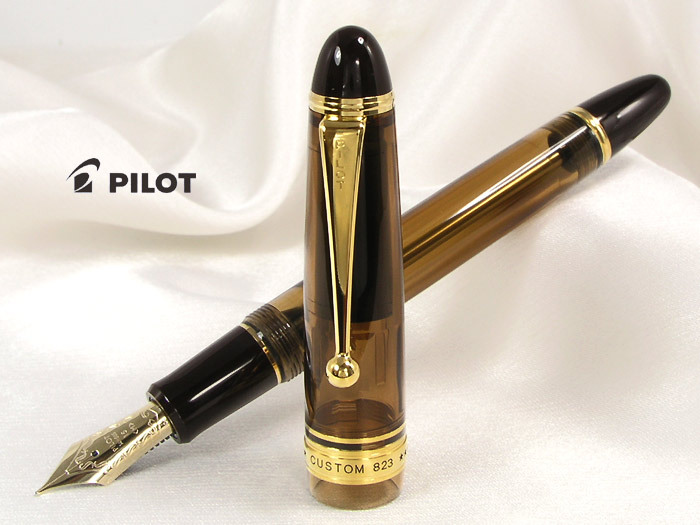 Your Custom 823 will arrive in a striking presentation box complete with a glass bottle of Pilot ink.